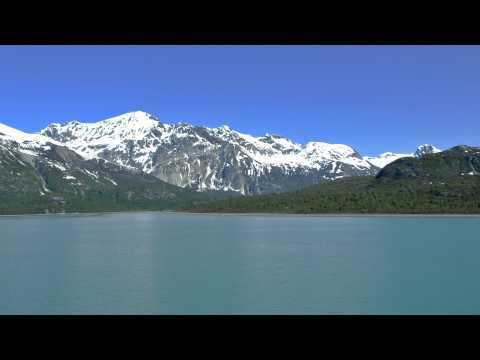 Shot of snow covered mountains and small ice glaciers floating in the water, Alaska - Stock Footage, Inc. 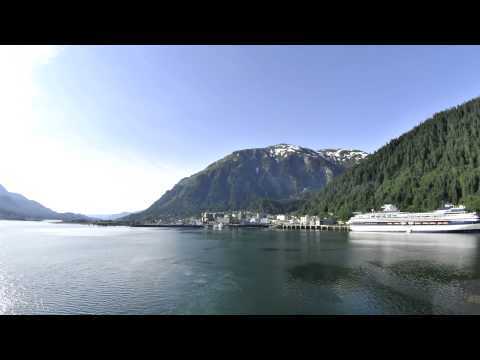 Categories: Travel, USA, Alaska Stock Footage Reel, Nature, Alaska. 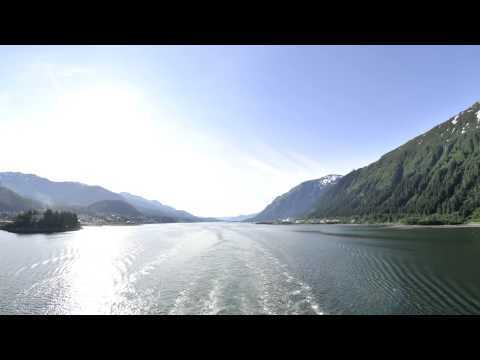 Tags: Alaska, alsek, alsek lake, anchorage, bay, beautiful, boat, boating, camp, cold, cruise, extreme, freeze, freezing, frozen, glacier, glacier bay, glacier bay national park, ice, iceberg, icy, inside passage, lake, landmark, landscape, motion, mountain, mountain range, mountains, national, national park, nature, ocean, outdoor, outdoors, park, ridge, scenery, scenic, sea, season, ship, site, snow, snowy, travel, vacation, view, water, winter. Slow traveling view of snow covered mountains and small ice glaciers floating in water in foreground, shot during the day with clear blue skies from the side of a traveling cruise ship in Glacier Bay.